This is the 2017 G23!!! Surf Boat of the year. This boat is fully loaded with everything from the Studio Elite Audio package to under water lights, and heated driver and observer seats. 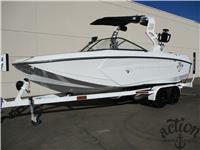 This was a custom built surf addition G23 complete with Surf Switch, all the interior lighting and much, much more!!! BoatMate Tandem Axle trailer is included. Led Underwater Lights, Docking Light, Courtesy Lights, Cup Holder Lights, and Over head Speaker Lights. JL Audio Studio Elite Package with 4x Tower Speakers and transom remote. Boatmate Tandem axle trailer, with Tow able mooring cover, LED Trailer Lights, custom wheels, custom spare, and built in straps and ladder. 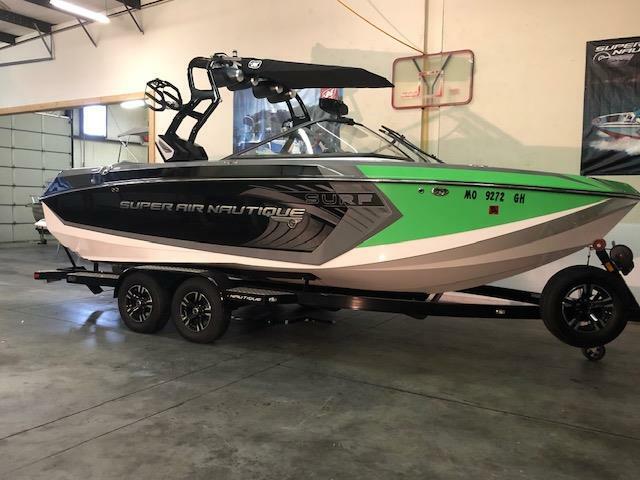 I am interested in your 2017 Super Air Nautique G23 and would like more information. Please let me know. Thank you!